Bienvenue sur Histoire d’un autisme ! 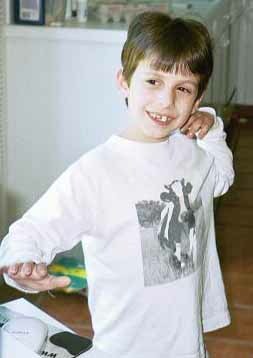 In 2000, I started a website to document the journey of my first born who was born with autism. I wanted to speak about the time before he was diagnosed, the time when he got diagnosed, what we did, how we reacted and what it meant for him. 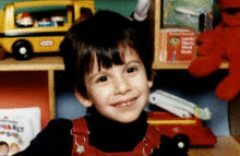 I wanted to document his journey and mine at a time there was so little about autism and therapies for young children, especially in French. I created that site and called it Terouma, which is the French spelling of a Hebrew word meaning « Gifts » or « Offerings » as the generally accepted meaning in translation, but actually implies an idea of separation and elevation. Life had given our family a separate fate because of autism but it had also offered us an opportunity for incredible growth. This is why I called this place Terouma or T’ruma. The web pages were originally all written in French only, but should I see an interest to have them in English too, I’d love to rewrite them for you. …Please let me know if you would like to know something, have questions or comments. This is the beauty of communities and sharing of knowledge and experience. Each child is unique. Each story of autism is unique. These pages reflect only my view. I am a mother, not a therapist. My opinions are strong and they represent only myself. If you also are interested in the author of these pages, you can learn more about me here where you will find my internet business card. Feel free to check me out and connect! Offer a Cup of Coffee? Merci pour le café !